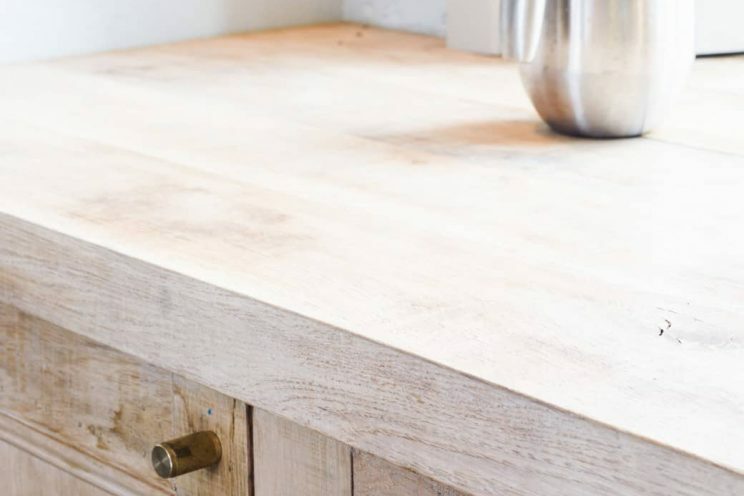 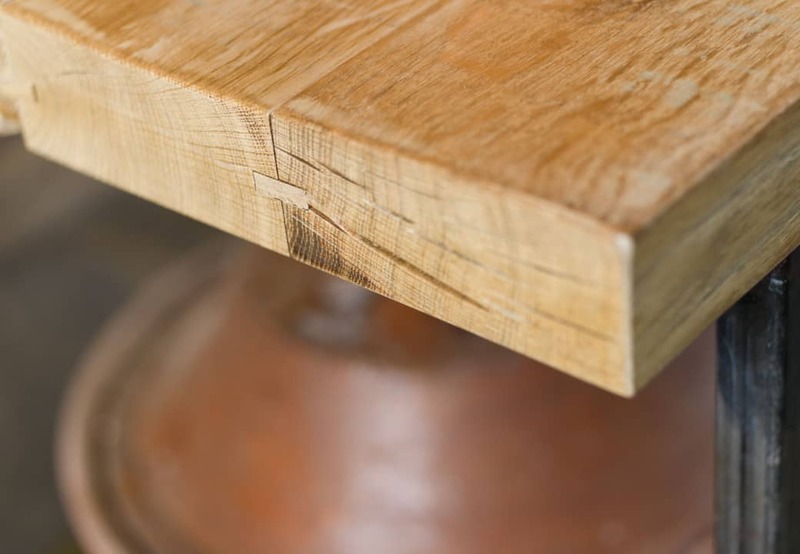 A reclaimed Belfast sink nestled comfortably within the 65mm thick oak worktop. 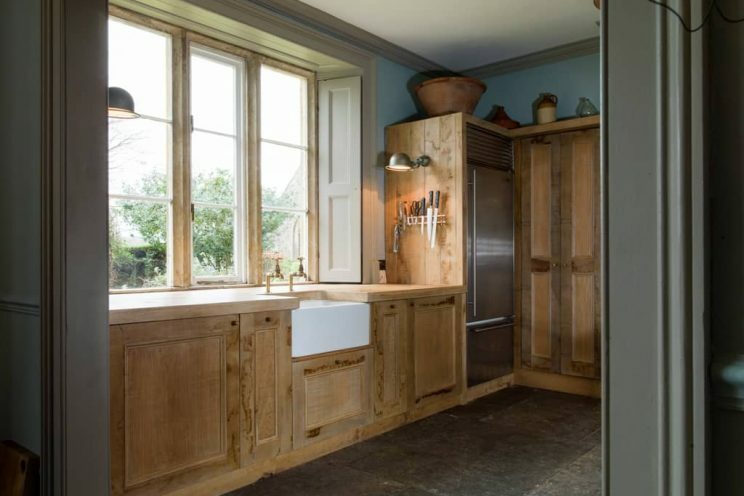 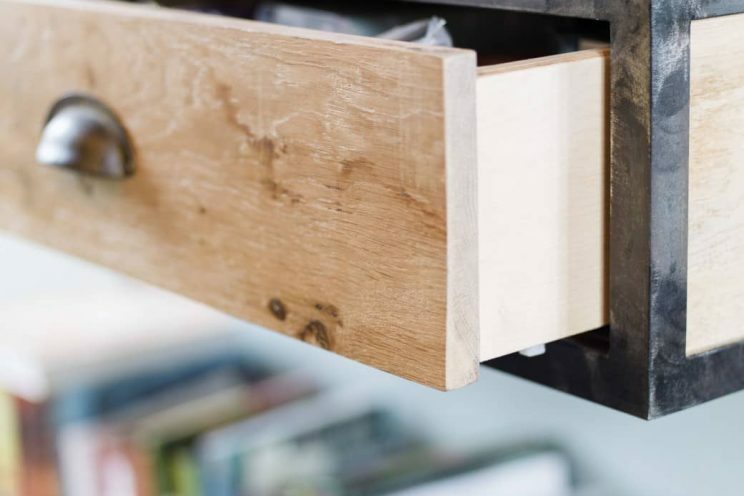 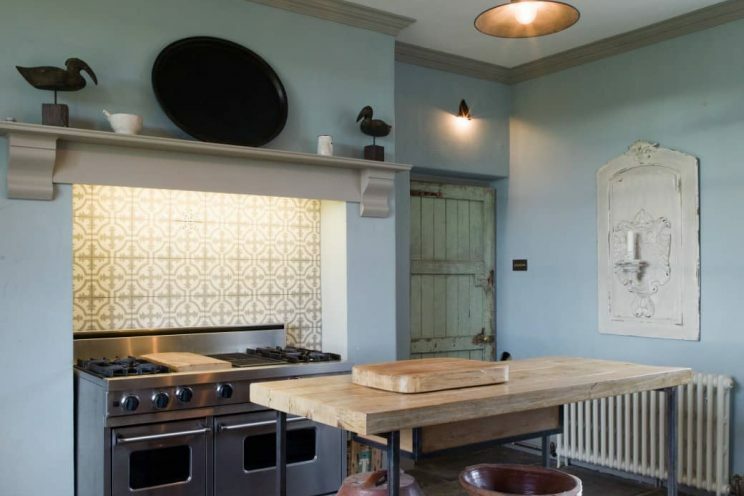 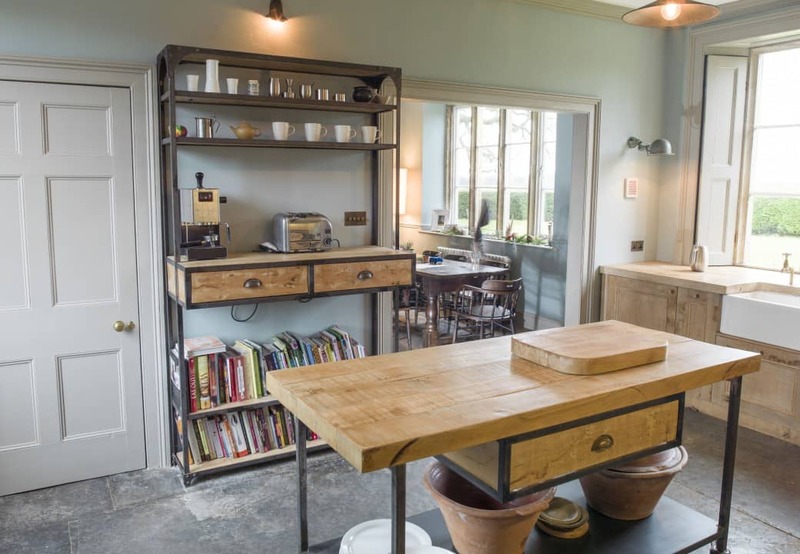 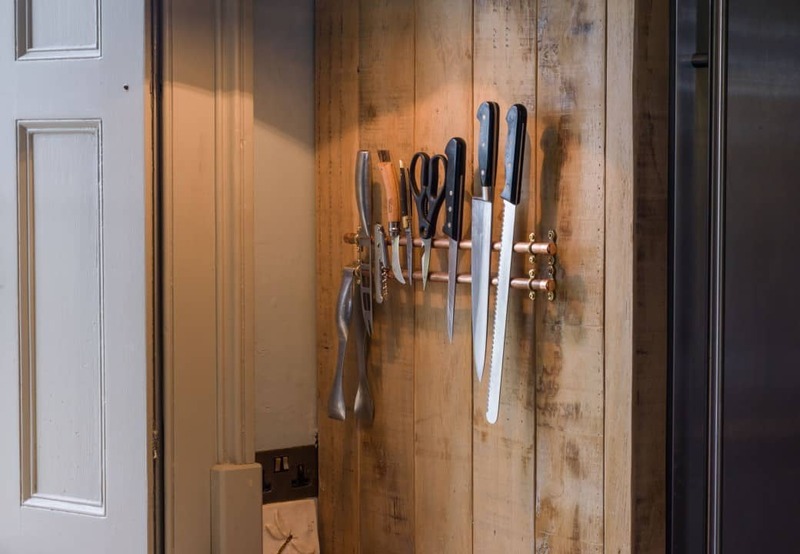 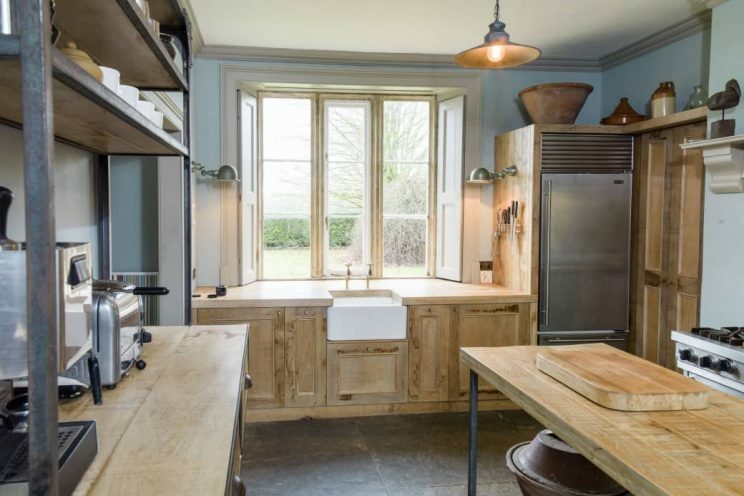 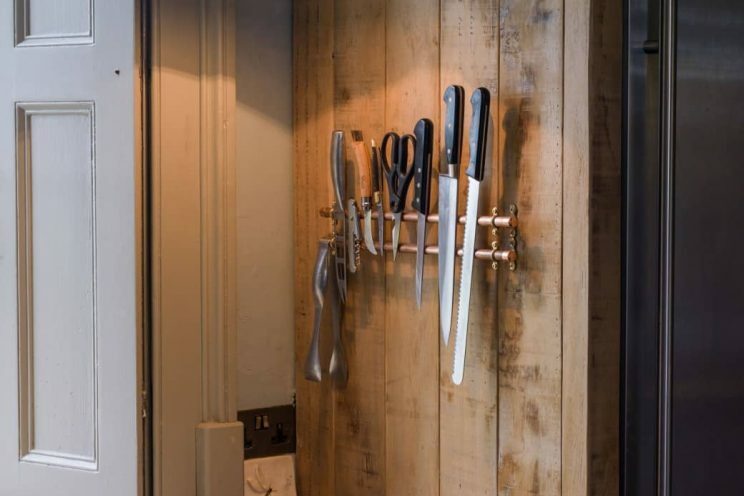 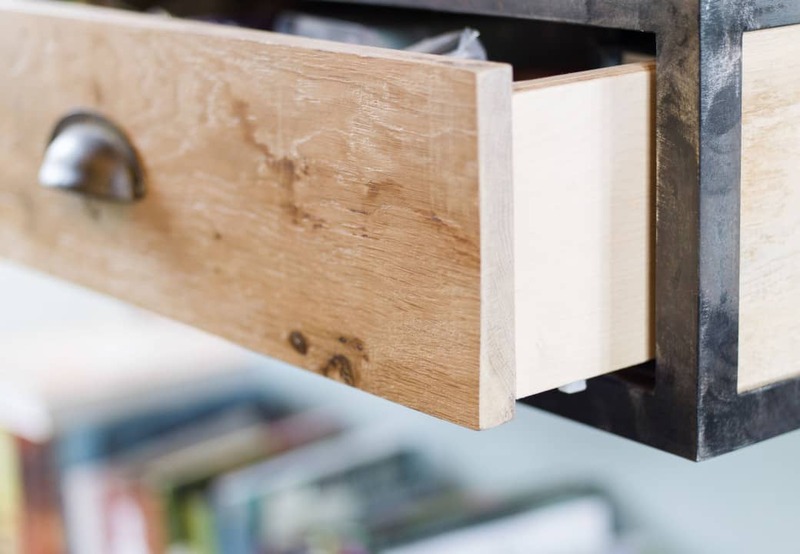 For this unique industrial style vintage kitchen (designed by Mia Marquez), we used mixed materials – solid French pippy oak for the doors and worktops; unfinished angle iron and box steel for framework, and 100% birch ply for our carcasses. 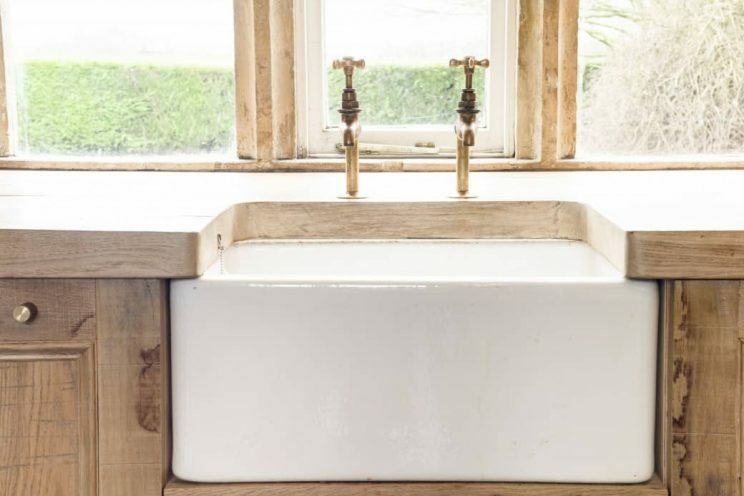 A reclaimed Belfast sink nestled comfortably within the 65mm thick oak worktop and reclaimed brass taps perched above giving a really characterful centrepiece of the kitchen. A Sub Zero fridge freezer was wrapped in the work surface and this gave a fixing point for one of several reclaimed task lights. 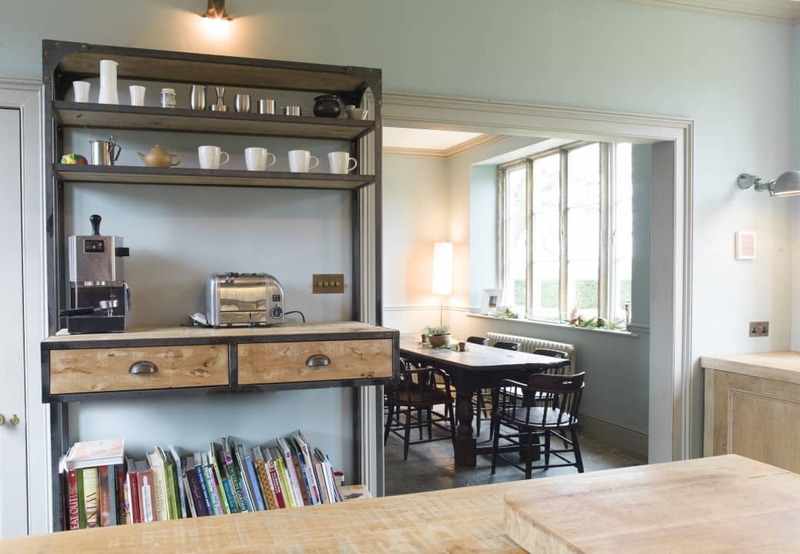 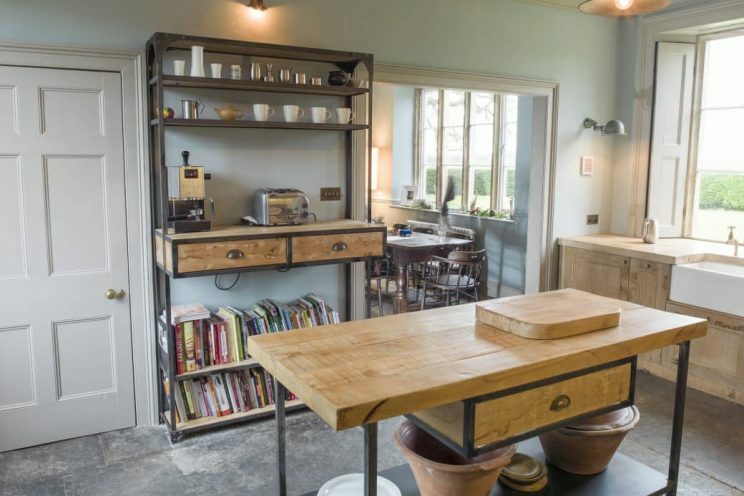 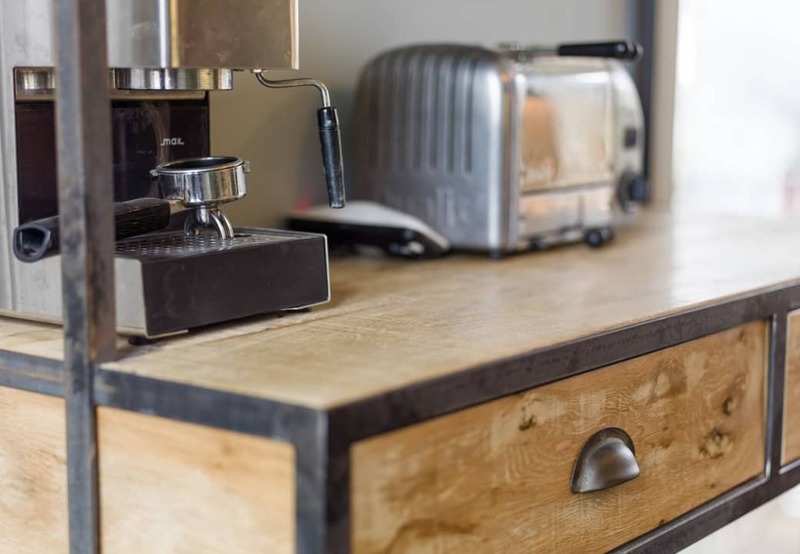 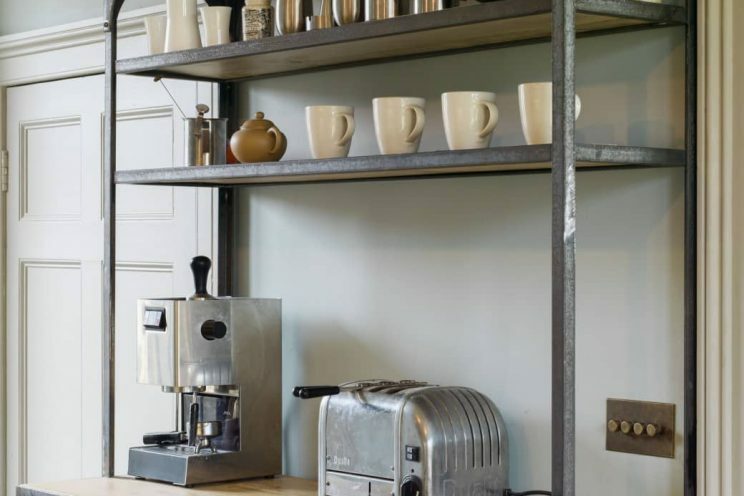 The room was big enough for an island but in order to allow a more flexible working space, we made the island a bit like a big trolley – on vintage castor wheels, braked, that allow for the unit to be easily rolled around. 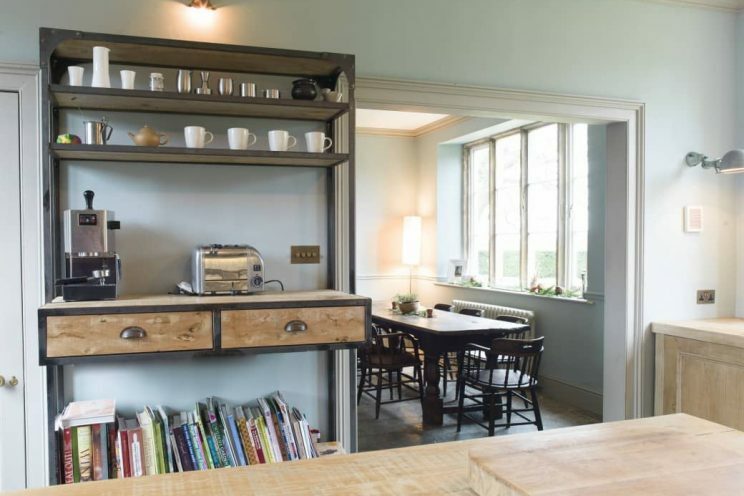 A dresser unit with tea drawers sat well between the existing architraves and allowed for an additional working area. 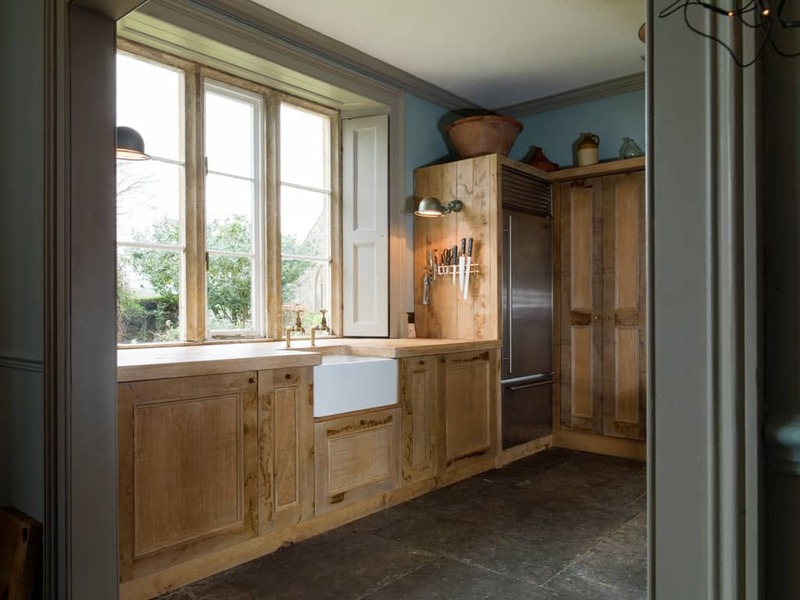 Our clients had the luxury of a large larder which meant the kitchen itself could be largely for appliances and food preparation. 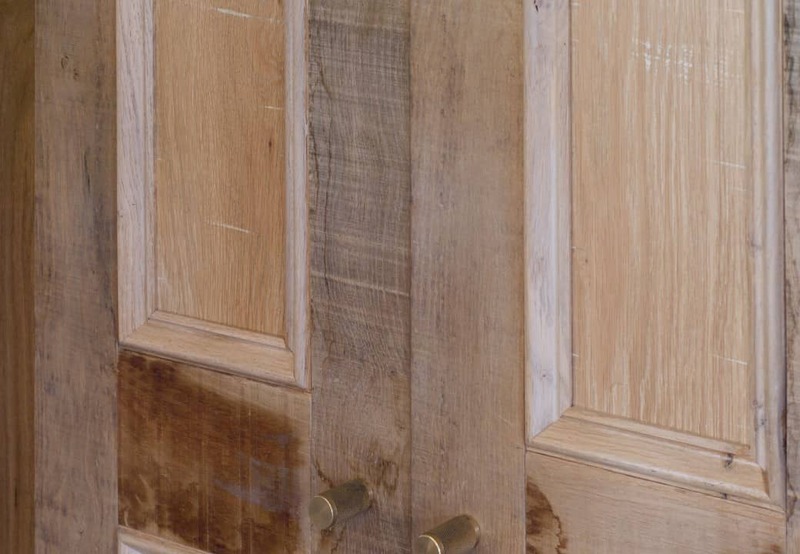 While we were there we made some custom wardrobes for the master bedroom.